Live like a Lord among the Lakeland fells. 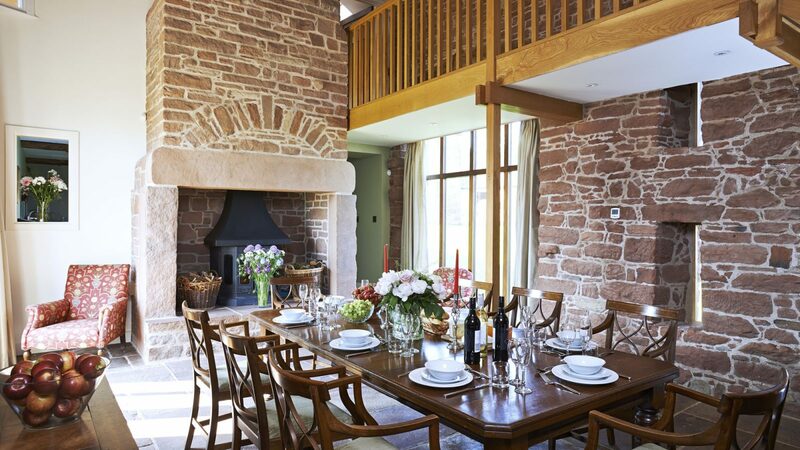 Dine in splendour beneath cavernous oak-beamed ceilings or on sandstone terraces, sleep like you’ve never slept before in the rural hush, clink glasses around roaring fires. Rediscover your loved ones on a family estate. 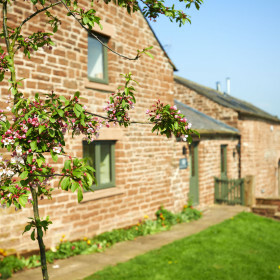 Live like the Lord of Cumbria in The Long House and Cottages. Dine in baronial splendour, peer up at cavernous ceilings, sleep the sleep of your life in the bat-wing quiet, walk the woodlands. 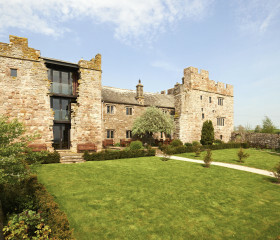 Where better to reconnect with loved ones than in this luxuriously converted Cumbrian long house? 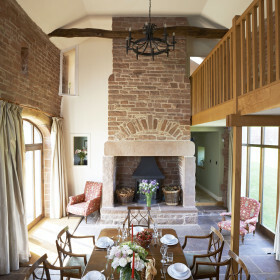 There’s space enough for everyone to get together in the Hall and room to relax apart in the Cottages. 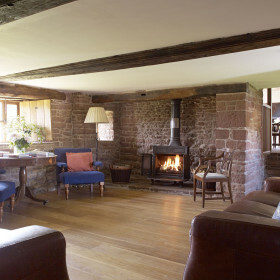 Old ship-timber oak beams, oak mullion windows, flagged stone floors, open fires and stone staircases… if the stunning renovation of The Long House takes your breath away, a wild walk over the Eden Valley fells will soon put it back again. 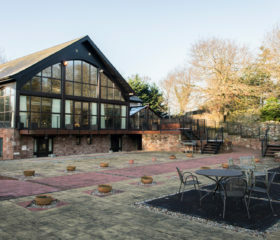 Eat like a king in the oak-galleried dining room, chat round the wood burner – The Long House has it all. 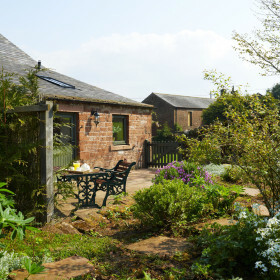 Close by are the two cottages, The Croft and Eden Cottage. 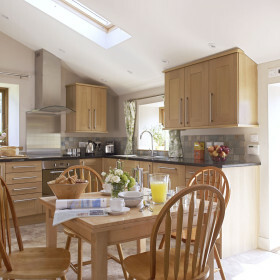 Beneath the cathedral ceilings at The Croft sit light, airy spaces. 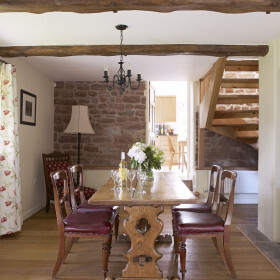 Luxuriate among oak and stone in this tasteful conversion. 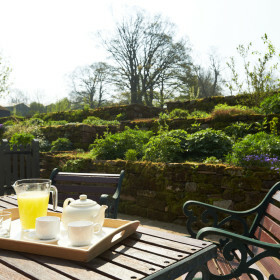 Dine al fresco on the sandstone terrace. Eat heartily on fresh local fare, dropped off or served up by us. 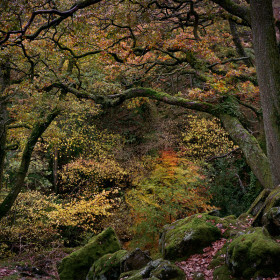 Gather round the woodburner for tall tales and late nights. 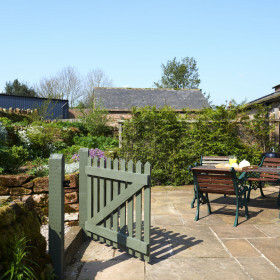 The adjoining cottage gardens bring a rare natural beauty right to your back door. Equally rare is the accommodation for four and the sense of ordered calm. 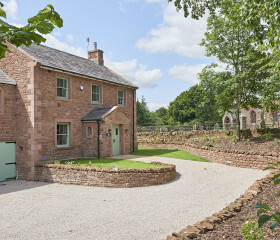 Eden Cottage is a world of stone walls, arched openings, terraced gardens and oak kitchens. A place to breathe clean air, eat hearty fare, be with people you love and reconnect with what matters in life. The gardens at The Long House and Cottages are a mix of big open spaces and cozy cottage gardens. You can look out forever over the low stone wall across the Eden Valley to the Pennine hills on the horizon. Largely laid to lawn, the grounds are a great space for kids to run wild, without the need for constant supervision. 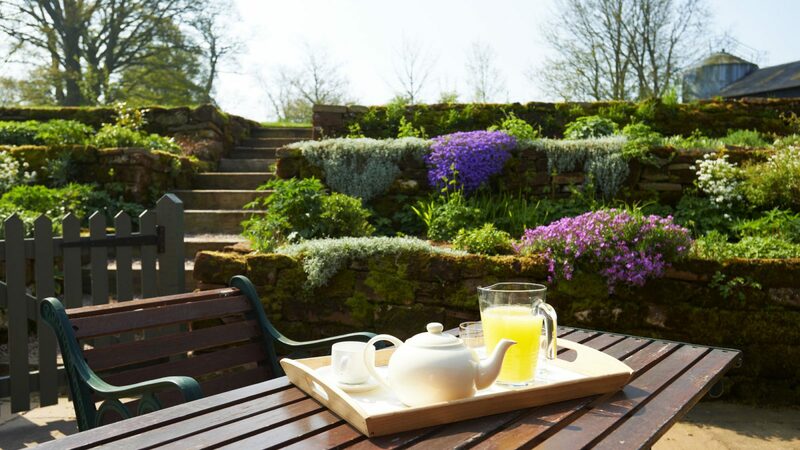 On sunny days, fire up the Weber barbeque and admire the endless horizons from the teak garden furniture. 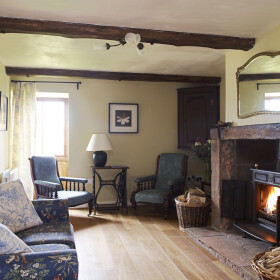 Lovingly restored, yet bulging with many original features, The Long House and Cottages come with old-ship-timber oak beams, oak mullion windows, flagged sandstone floors, open fires and stone staircases. 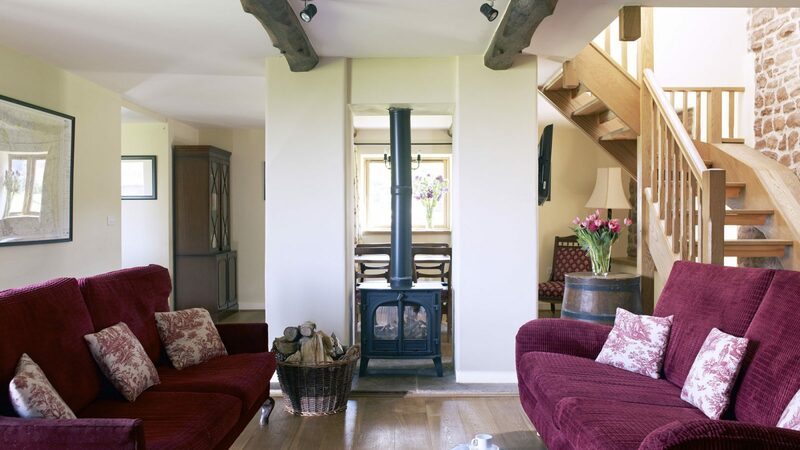 In all three properties, glorious antiques sit alongside underfloor and solar hot water heating. You’ll dine with the imposing gallery above your head, and with the glowing warmth from the massive stone fireplace on your back. 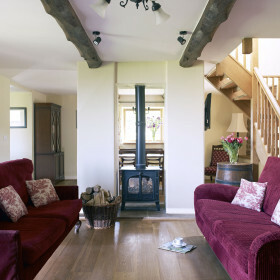 The sitting room, with its woodburning cast-iron stove, suggests a good book or family game of charades, while the breakfasting kitchen with Aga is a great place to gather for informal meals. Fling open the double doors from the dining hall onto a sandstone terrace leading into the garden. There’s a Weber barbeque and teak garden furniture for when the sun lights up the Cumbrian hills. Cots, high chairs and bikes are all available and there’s free wifi for keeping in touch. Pets are welcome. 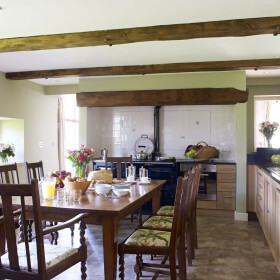 Get everyone together around the huge table in the large breakfasting kitchen with four-oven Aga – or ignore it completely, put your feet up and let someone else take the strain. Just whistle and have hired caterers prepare you a meal or drop off something special. They can even wave their wands over the washing-up. Choose to be catered for and you’ll enjoy great quality, flexibility and fresh local ingredients. There’s a wide range of menus on offer, including Lynn Hilditch Catering and Sarah Ecroyd Catering – fine dining without the fine mess. Sainsbury’s and Tesco will deliver provisions but, for something more adventurous, try specialty local meats, greens and local chef deliveries dropped right to your door. Staffield Hall meat pies taste great followed by seasonal fruit from the Rowley’s Raspberries field. 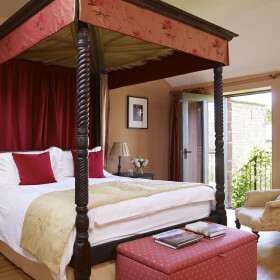 Downstairs, the Daleraven Room is a double with 5′ king-size bed. Beneath the shower room is an original sandstone-walled well preserved below the glass flooring. No fighting, now. 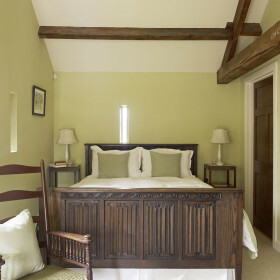 Follow the oak gallery to the master bedroom suite with its 5′ four-poster and en-suite bathroom with separate rainfall shower. 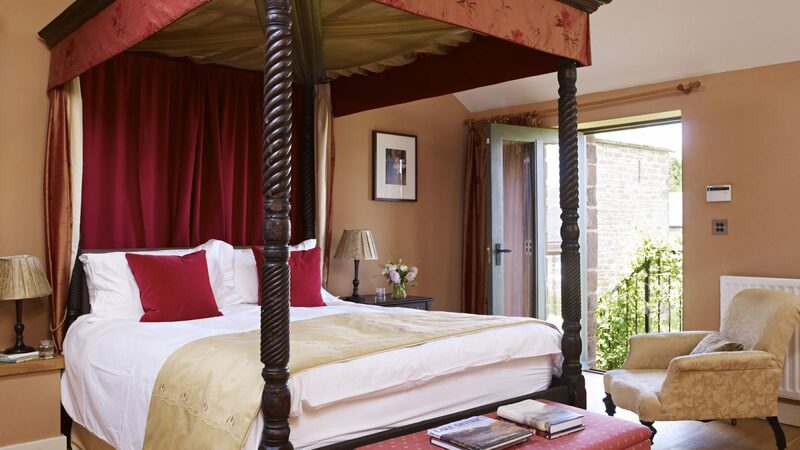 The Addingham Room comes with 5′ carved antique bed, while the Salkeld twin bedroom is kid-friendly with its two 3′ beds. The family bathroom gives you the decadent choice of cast-iron bath or separate rainfall shower. 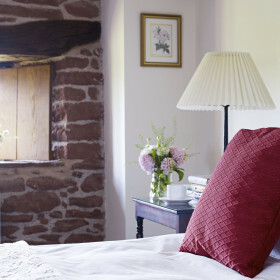 At The Croft there’s a double bedroom with an antique bed and an ensuite bathroom. 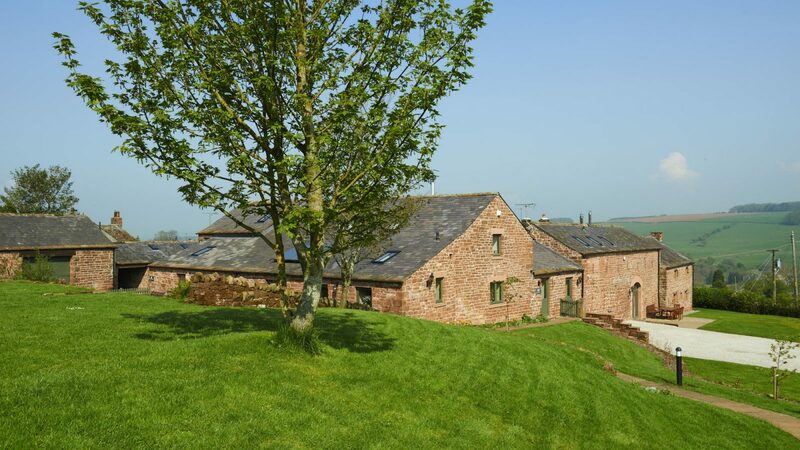 A second double bedroom has a double bed which can be separated into two singles on request, and an ensuite shower room, complete with rainwater shower. 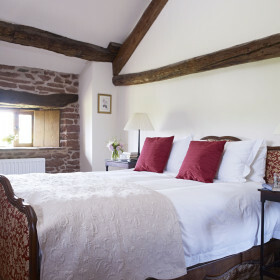 In Eden Cottage the master bedroom has an antique oak bed, while the second bedroom has twin antique beds. Both bedrooms are ensuite. 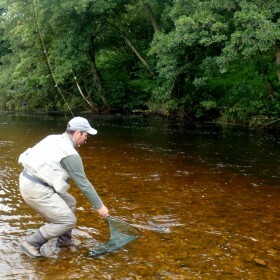 Walk the woodlands and fells, ride ponies or horses, clink glasses on a lake cruise, fish the gushing rivers. 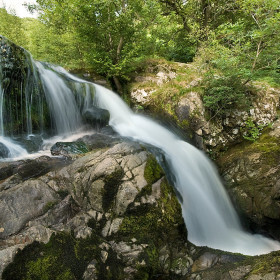 Take a picnic to Aira Force waterfall and hike up to Gowbarrow Fell. This is nature’s overspill. 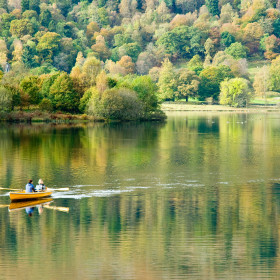 Break the hush and change the pace on quadbikes or speedboats. Potter the shops in Keswick, Grasmere or Penrith and gobble up the gorgeous gingerbread. Spectacular feast of a Lakeland house with pool, gym and Jacuzzi.